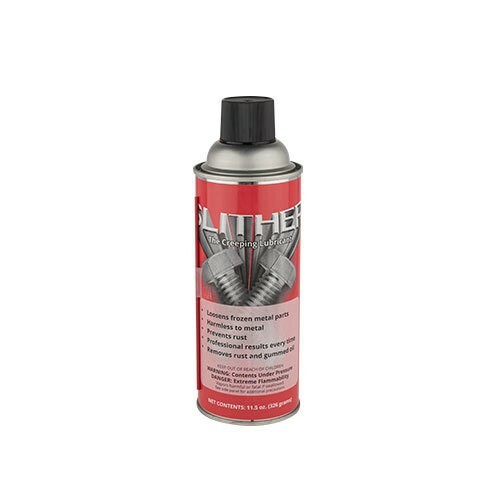 SLITHER | Pro Chem, Inc.
SLITHER is a reliable penetrating oil that will produce professional results every time. The nanotechnology used in the production of this product allows the product to creep into the tiniest spaces to loosen rusted and frozen parts. It can dissolve rust, lubricate, clean and prevent further rust buildup. It is also great at displacing moisture and can be used as a cutting oil. Remove cap and shake can for 30 seconds. Spray at least 6-8 inches from part(s) to be lubricated. For tight or extremely small parts insert extension tube into tip and then spray on part(s). Apply product as needed. Note: Not for use on plastics. If contact does occur wipe off immediately.